While Atlanta has many different suburbs worth considering settling down in, Almond Park is an option worth looking into. On the northwest perimeter of Atlanta is the neighborhood of Almond Park, which is considerably large compared to other Atlanta neighborhoods. 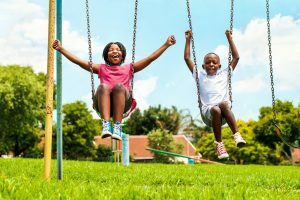 With a population just shy of 60,000 residents in Northwestern Atlanta, Almond Park has an equal blend of both men and women, as well as residents of all ages. In fact, the median age for residents in Almond Park is 28. Much of the real estate within Almond Park is occupied by singles, or those who remain unmarried. Only a fifth of the residents are married in this community. But despite having an influx of singles and young professionals in the area, there are many more single-family homes available than compared to other areas in Atlanta. However, despite the amount of houses, the percentage of residents who rent in the neighborhood is 89 percent, with only 11 percent owning their homes. For potential residents wondering how far away Almond Park is from the Beltline, the distance is around six miles. By car, the travel time will likely fall between 15 to 25 minutes, depending on traffic. However, there are public transportation options to consider as well. While the MARTA (Metropolitan Atlanta Rapid Transit Authority) does not have any stations in Almond Park, there are plenty of buses that will take residents to the closest MARTA station. Look for a public transportation trip from Almond Park to Downtown Atlanta to take under an hour one-way. In addition to grade schools serving the community, there are also collegiate opportunities just a few miles away. For instance, Georgia State University, Georgia Institute of Technology and Emory University are all located in Downtown Atlanta and offer students the option to commute to and from university. Before prospective residents consider a neighborhood, they must first understand the real estate market and decide whether to buy or rent. As mentioned, while there are more renters in Almond Park versus owners, there is still single-family houses for sale in the area ranging in price. The price point for many of the properties in Almond Park remains relatively low, with homes such as a 4-bedroom, 2-bathroom house listed as $85,000. On the higher end of the spectrum, a 3-bedroom, 2-bathroom condo in Almond Park is listed as $176,000. Rental properties in Almond Park also have desirable price points, as well, with many housing rental opportunities versus apartment buildings. Houses that are available to rent in the neighborhood are listed around $1,000 monthly, for a 2 to 3-bedroom home. Living closer to Downtown Atlanta or neighborhoods closer to the Beltline might not warrant the need for a personal vehicle, especially if an area is considered high on the walkability scale. Almond Park does not rank high in terms of walkability, and the majority of residents have a personal vehicle and commute to and from work. Therefore the opportunities to bike are also not as high as areas along the perimeter of the city. Yet, oftentimes residents will take to the suburbs at a lower price point and lower cost of living in order to be able to add a car to their budget. Having an abundance of neighborhoods surrounding Almond Park provides a necessary proximity to varying restaurants, shopping and entertainment opportunities.